A bachelor’s degree in science with Biochemistry, Microbiology, Biotechnology, Genetics, Chemistry, Botany, Zoology, Environment Science, Food and Nutrition, Agriculture, Medicine and Life Sciences, B.E. 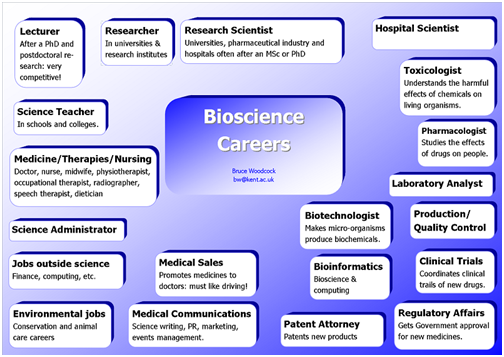 Biotechnology as main subject of any recognized University or any other qualification accepted as equivalent thereto are eligible for admission to M.Sc. Biotechnology Programme. The M.Sc. programme is full time curriculum run for two years spread over 4 semesters with two semesters in one academic year. There shall not be less than 90 teaching days for each semester. Examination shall be conducted as Continuous Internal Assessment (CIA) as well as Semester End Examination (SEE). Each PG programme shall have a curriculum comprising theory and practical courses with a specified syllabus. The curriculum of each semester is a blend of theory courses and practical courses as Core and Discipline Specific Elective (DSE). In addition, Project, Internship/Training, Educational tour/Field visit and the other Competency Enhancement Courses shall be offered. The medium of instruction and examinations shall be English. The evaluation will generally comprise of Continuous Internal Evaluation (CIE) and Semester End Examination (SEE) with percentage weightage as specified below, unless specified otherwise in the Scheme of Instruction and Examinations. The department shall publish the result after evaluation and with the recommendations of Result Passing Board at the end of each semester. On approval/ratification of the results by the Academic Council, the candidate will be recommended to Atmiya University for award of the degree on completion of all courses and components of the curriculum.